It Just Gets Stranger: So this is the south. Matt has been in Mississippi for several weeks. He drove from Salt Lake City all the way to Jackson, which if you look at google maps is a distance of exactly 7 light years. I mean, I do kind of know how he did it. I know because he texted me every four minutes for three days, telling me every detail of every part of his journey, including where Ollie was pooping, how much he was pooping, how long it was taking Ollie to go poop--pretty much 95% pooping updates. I knew he had been driving nearly 7 light years when I texted him and asked if he had made it to Mississippi yet. He responded with this picture and no further explanation. Obviously it's important to read the above picture in an all-caps screaming southern voice. For at least the above reasons, I was very excited to go to Mississippi for my birthday last week. Skylar and I arrived at the Jackson airport a little before midnight on the sun. We were drenched in sweat as we meandered down the one hallway of the tiny place and made our way outside to find Matt and Ollie hanging out of a car window, grumpily yelling at us to get in. Matt drove us through the dark Mississippi jungle to his brother's house, where he and Ollie have been staying this month. His brother's house is out in the country, completely surrounded by jungle and alligators and Civil War ghosts and JESUS and bugs that are so loud that you can hear them from space. Matt has spent the month slowly remodeling his brother's new charming and gorgeous home (if you follow Matt's Broomebungalow Instagram account, you have seen some of this already). The next morning we ventured further into very Mississippi, and that's when my education truly began. 1. Everyone is always sweaty no matter what. 2. It is important to name drop all southern people you know every time you walk into any establishment. 3. Gossip is a lot more interesting when it's said with a southern accent. We walked into an antiques shop right as one woman said to another woman, "and you know she can't put down the drink to save her life which is why her life has gone nowhere bless her heart!" and it was so charming that you would have thought they were talking about how pretty someone was. 5. People really do say "y'all come back now ya hear!" because I heard that exact phrase said by two of Matt's family members within one hour. 6. At least one person has tried to find a positive way to describe slavery. 7. This billboard and variations of it are everywhere. 8. 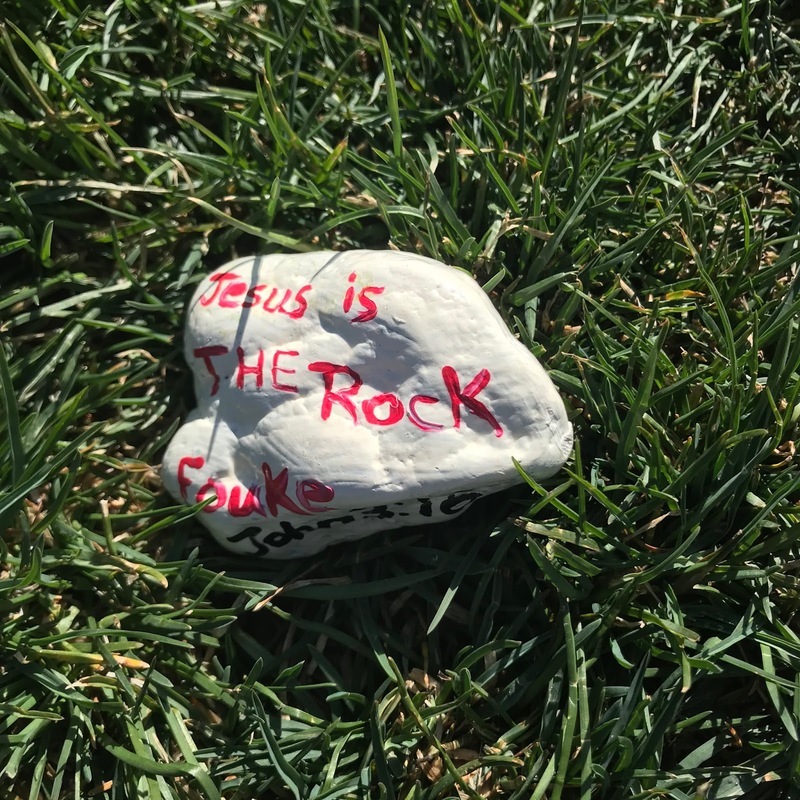 Have I mentioned about the Jesus thing? 9. Southern people are the best people in the country. 10. Mississippi is one of the most beautiful places I have ever been on this planet. We spent some time wandering the state looking at antebellum homes and pretending we were the upstairs people in Downton Abbey. And then we found our way to New Orleans, where everyone is somehow even MORE sweaty. New Orleans is amazing. And I think it might also be Sodom and Gomorrah. I saw things while walking down Bourbon Street that Cathie hasn't even thought about me not knowing. And there was vomit everywhere. But outside of Bourbon Street, the place was fantastic. Jazz music echos up and down every road and God himself is the chef in every kitchen. Except for the ones on Bourbon Street. God doesn't set foot on Bourbon Street. I'm pretty sure I automatically can't go to heaven just for saying "Bourbon Street." We eventually made our way back to Mississippi, where we dropped Matt off at the airport so he could go to London for a last-minute work trip. Skylar and I still had a full day left in the state, so we spent it playing with Ollie and listening to Matt's 75-year-old father, Edward Broome, give us a 2-hour monologue about everything that has ever happened in such a strong southern accent that I should get an honorary degree in linguistics just for having heard it. It was fun to see a new place. And especially fun to learn a little more about why my weirdest, really exceptional, friend is the way he is. The next time he complains about Mississippi I'll refrain from disagreeing with him, even though I'll be tempted to tell him that he's crazy to not think it's one of the best places on Earth, just because I don't want him to ever be tempted to move back. Mr. Pants basically begged me to take a birthday picture with him. My new giant painting from a street artist in New Orleans. Matt's brother's house, with the world's best front porch. "Y'all come back now, ya hear?!" Did we forget to tell you to walk down Bourbon Street blindfolded? Oops - our bad! Did you at least get some beignets? And that painting is AMAZING! We used to live in Mobile, Alabama, and I worked at a law firm as a paralegal, but the main office was in New Orleans. Every year, the firm would hold a Christmas party in New Orleans and, if you wanted, your family could come stay another night at the hotel, which was just off Bourbon Street. Our girls were young, but we thought, "What could possibly go wrong?" OMGoodness!!!! We were so wrong. Fortunately, they weren't old enough to know exactly what was going on when we were steering their eyes away from so many things. And the vomit. Just don't look at the vomit. #7 - reminds me of an LDS testimony meeting I attended a couple months ago where a woman kept telling us that she felt like we needed protect ourselves so the devil couldn't penetrate us but remain vulnerable and open so that Jesus could penetrate us. She must have use penetrate/penetration close to a dozen times in the three minutes she was at the pulpit and she had NO idea what it sounded like, I was literally in pain from stopping myself from laughing out loud. #9 - Just about. I travel a lot, I'm a wanderer, and people tell me "you should visit my state/hometown/country/etc, everyone is so friendly", they are usually wrong. When I get to a place that someone has bragged about being supder friendly it is almost always inevitably weird, unwelcoming, and the people treat me with suspicion when I try to interact with them. But not in the South. You hear the term Southern Hospitality but you have no idea what it is like until you are there. They are just so darn friendly, straight forward, and helpful. Remind me to tell you about the time I stopped in Edenton, NC. The only other place in the states where I've experienced that kind of niceness is Minnesota. Now I'm jonesing to go back to New Orleans, it's been years and I miss it. You're not wrong about the food...crawfish boils, po boys, oysters and shrimp everything, beignets, chicory coffee, etouffee, gumbo, Muffulettas...I am so very hungry right now. I went to grad school in Savannah, which is also where my grandma’s family has lived since colonial times, and I’m glad it isn’t as Jesusy and Deep South as Mississippi. 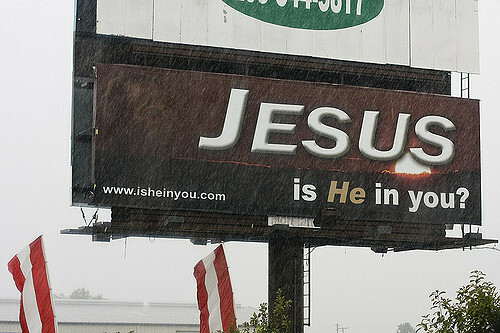 But most importantly...do they realize how literally everyone who isn’t southern perceives that “is he in you” Jesus billboard?! YIKES. I had this exact same thought about the billboard. It probably was exacerbated by the Show Dogs movie debate I'm having or the fact that I saw Deadpool 2 last weekend. I didn't say anything about it in case it was just me. Isn't Rebecca in Mississippi as well? She does live in Mississippi, but she has been in Utah all month getting her house ready to sell. So it was "Rebecca" timing. So I served in Louisiana, the New Orleans stake for the majority of my mission. I can attest to the sweat. A senior missionary once said, “New Orleans makes Las Vegas look like Temple Square!” I don’t know that I agree fully, but Bourbon Street just might. We drove so SC from Colorado one summer, and on the way back got in a car accident in North Carolina. There was an old man at the service station where our car was towed, who started talking to us. He invited us to have dinner with him and his wife if we were ever driving through the area again. Then he asked my mom what religion we were and when she said LDS, he replied, "Oh, well ... that's ok, Sweetie. We're all God's children." I have a black female coworker who said she felt so unsafe driving through Jackson mississippi that she’d be okay never setting foot in the state again. And that’s all I knew about that state, until today. So thanks for a little bit more perspective (even if it is from a white male :)). Duncan is very upset that he didn’t get to come. How’s your pup? I’ve been very sad for you. Well I hope whoever is watching Duncan is giving him all the bum tickles and kisses so he doesn't miss you too much. Thank you for asking about my boy. As you can imagine, we have had good days and sort of ok days and very bad days. Today, after a rough night, I am mostly wallowing in the guilt of "why am I so selfish to do this to him?!" But people keep telling me that three legged dogs are amazing and he will be fine, so I think I just need to hold on to that, and be patient and let him heal and be there for him when he's hurting. It's hard to listen to him cry, knowing I did that to him. I kind of hate myself whenever I hear it. I was not ready to say goodbye - and see, we have circled back around to selfish guilt. It's only been a week, today, so deep breaths, right? ALSO today is the last day of school for my kids, so PRAY FOR ME. Poor little guy. How long is the recovery supposed to last? I take him back in one more week to get the stitches out, and then I don't know really beyond that as far as when he will be 100% again. He is really quite remarkable in that he could get up and walk from day one, but the hard part is getting him to want to. I struggle getting him to eat and drink every day (to the point that I have to just force food into his mouth after purifying it and then using a syringe). My Tip usually weighs 10 pounds, and he is down to about 8 now - I can feel every bone in his spine and ribs. BUT TODAY he was gobbling up his food so much I thought he would get sick, so good things are still happening! "Some house in New Orleans"
I love how, depending where you are in the city, you could probably take a picture of any house and have a blog-worthy picture. Such a cool place. Oh, the sweat. My husband and I were reminiscing the other day about the sweat last summer as we packed up to leave Mississippi. And by reminisce, I mean laughing gleefully on the inside that we don't have to deal with that this summer. Sorry I'm late to the party... I just saw this post, as I'm sitting here planning my New Orleans trip! Next time, try Frenchman Street (it's what Bourbon used to be), the French Market, WWII museum (seriously cool-- even my teenagers love it), and the Carousel lounge (for music) at the Monteleon. Bourbon street is my least favorite thing about New Orleans. I apologize for the heat and humidity-- I'm from Louisiana and we don't get used to it, either... we just live with it.